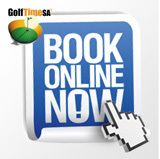 Parow Golf Club - About us and the history of our Golf Course. Welcome to the Parow Golf Club. Please spend some time and explore the many facets that the Club offers you. Enjoy the history, the layout, the news and the pictures. This is as close as you will get to experiencing Parow without an actual visit. Thanks to Marketing 4 You for putting together a great site, as well as providing the excellent photographs of the course, staff and facilities and to Andre Hart for maintaining the site so well. Members please note that the monthly newsletter will now appear under the news section and we will also publish photographs of winners of the Club Championships and the Open. One of the best-kept secrets of Cape Town as far as accessibility and general playing friendliness is concerned. Parow is a flatland (park-like) course and has an abundance of bird-life due to the massive dam in the center of the course. Peacocks, plovers (Club emblem), guinea fowl, hadidas, Egyptian geese, mallards, teal, grouse, pheasant, numerous smaller species, stork, ibis and even some pelicans abound. This is indeed a friendly, forgiving course with numerous water hazards and a prevailing southeaster wind driving away the City smog and the heat in summer. The best days, however, are found during June and July (beginning of winter), when the balmy wind-free and sunny days can only be described as Indian summer, and the first winter rains rejuvenate the course. Pure magic! The greens are very well maintained, a mixture of bent and poa grasses. Large, with gentle slopes and ringed with bunkers, they are true and fast. The fairways are a mixture of Kikuyu and Cape winter grass, and the semi-rough is clearly defined. New pathways for carts have been laid and paved, and allow a smooth ride for those less energetic golfers who prefer a bit of luxury. We cater for these with a fleet of 25 electric golf carts for hire. with magnificent views of the (The) mountain and the abundance of bird-life. Parow will certainly remain in your memory as one of the friendliest and playable of all the Cape Town courses. Parow Golf Club moved to its present position in 1976, when the local Municipality had the course built upon a design by Ken Elkin. The move was necessary, as the old nine-hole course was becoming too small for the members, and the local authorities sold it for residential and business development. The new course was hacked out of Port Jackson bush and shrubs, and had a fierce reputation at first, when any wayward shot was lost in the thick bushes bordering the narrow fairways. Gradually, the bush was eradicated and the fairways expanded, so that today, it is known as a gentle parklands course, with a variety of water features and an abundance of bird-life. The Club has gone through boom times and bad times, nearly having to close its doors in 2002/3 when a series of incidents resulted in a major bad time. Since then the Club has gone from strength to strength. The alterations and improvements that have been effected since 2003 are far too long to list, but record profits have been ploughed back in to the clubhouse and course, resulting in a Club that can now be counted among the best in Cape Town. 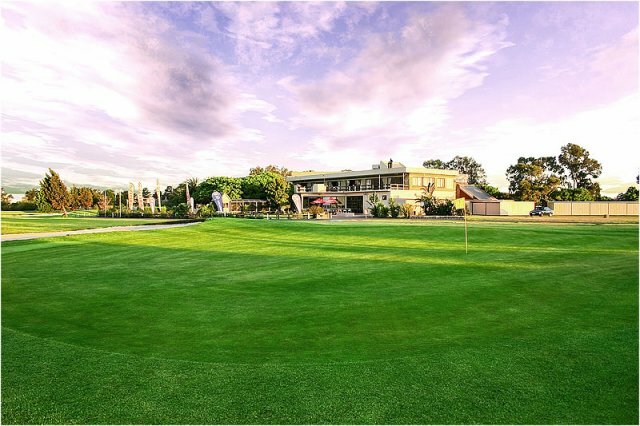 Tremendously popular among the local community, having a loyal and proud membership, making transformation a reality and becoming a shining beacon for all other golf clubs to follow, Parow Golf Club is certainly making a name for itself!